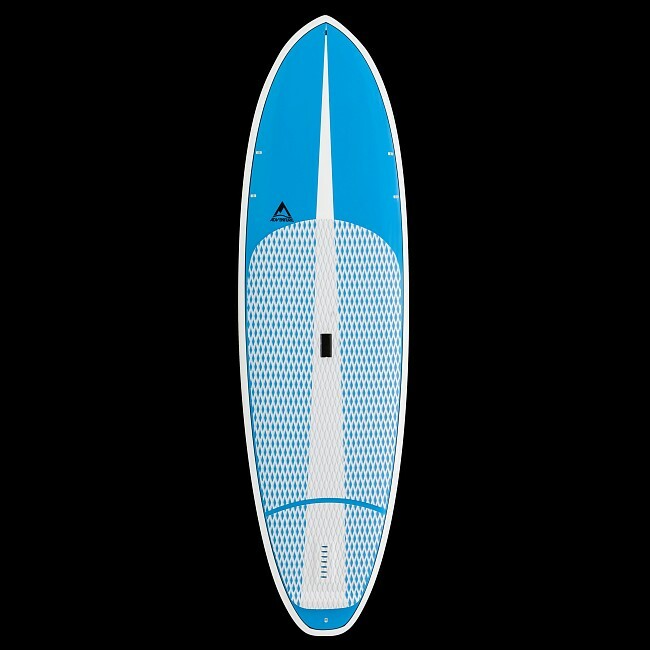 The Adventure Paddleboarding Sixty Forty X1 Stand Up Paddleboard is a true hybrid SUP that will transfer from the surf to flat water without missing a beat. This dual-purpose SUP is very versatile and a great option for the cross-training enthusiast who likes to do it all on the water. It also has a comfortable cavity handle for easy transportation, soft deck traction with tail kick, additional nose plugs for creating a forward storage zone, plus a bonus nose plug for mounting a GoPro. 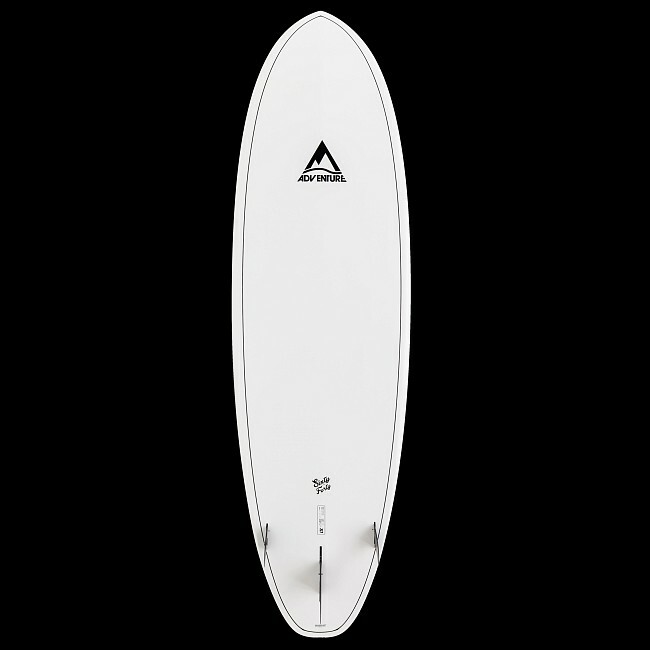 OUTLINE: Full bodied, with plenty of curve along the rail to maximize turning performance, and allow the board to pivot smoothly off the tail. The generous width through the mid zone maintains exceptional stability during flatwater excursions. 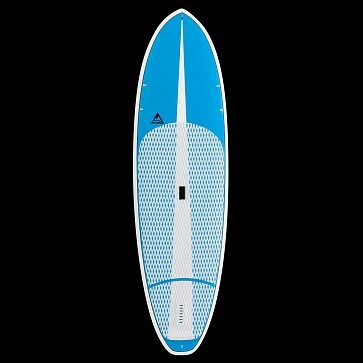 ROCKER: The rocker is designed primarily for the surf with a little extra lift in the nose and tail to fit with the curve of the wave and also make turning easy. A flat section through the middle maintains flow and forward acceleration in flat water. CONTOURS: The subtle displacement hull reduces slapping and helps cut through the water, single concave through the middle maintains down-the-line speed, and double concave vee out the tail enhances rail-to-rail sensitivity. FOIL: While most of the volume resides through the midsection, the nose and tail have been foiled to enhance turning sensitivity. Soft, high volume rails provide exceptional stability and are very forgiving when pivoting off the tail. CONSTRUCTION: X-1 uses epoxy resin, woven fiberglass, and a lightweight EPS core. This versatile construction is lightweight, durable and has long-lasting flex properties.